Cannabinoid Delivery Systems for Pain and Inflammation Treatment. “There is a growing body of evidence to suggest that cannabinoids are beneficial for a range of clinical conditions, including pain, inflammation, epilepsy, sleep disorders, the symptoms of multiple sclerosis, anorexia, schizophrenia and other conditions. “Cannabis is the most popular recreational drug used in the world. It is estimated that 178 million people aged 15–64 years used cannabis at least once in 2012. Cannabis or cannabinoids used to manage medical conditions is referred to as medicinal cannabis. There are various formulations of cannabis available on the market. Cannabis can be administered orally, sublingually, or topically; it can be smoked, inhaled, mixed with food, or made into tea. It can be taken in herbal form, extracted naturally from the plant, gained by isomerization of cannabidiol (CBD), or manufactured synthetically. The commercially available prescribed cannabinoids include dronabinol capsules, nabilone capsules, and the oromucosal spray nabiximols. Anti-Inflammatory Drugs and Herbs with Special Emphasis on Herbal Medicines for Countering Inflammatory Diseases and Disorders – A Review. “Diseases with inflammatory etiopathology have increased in incidence in recent times. Drugs used for therapeutic management of such inflammatory diseases are relieving the ailment but at the same time also countering serious life-threatening consequences. Moreover, they are costly and rarely available at all places. In this context, research and development on medicinal herbs have opened a new era in the prophylactic and therapeutic management of inflammatory diseases. To highlight the importance of anti-inflammatory medicine-synthetic drugs and natural herbs, their constituents, mechanism of action, benefits, side effects and future prospects. The overall aim is to provide better health services to patiens regardless of their background on equality basis. Anti-inflammatory herbs have proven beneficial by combating inflammatory responses that lead to severe abnormality in body systems. Inflammation though a protective response to infection or injury and may result in pathological outcome when aggravated or of severe degree thus needs an early intervention for proper resolution. Medicinal plants or their constituents are considered beneficial due to the properties i.e., satisfactory potency, ease of availability, cheapness, less or no side effects, safer and efficient as compared to the synthetic counterparts. These medicinal herbs contain phytoconstituents that can prevent undesirable inflammatory processes and also posses anti-inflammatory activity. Steroids, glycosides, phenolics, flavonoids, alkaloids, polysaccharides, terpenoids, cannabinoids, fatty acids are common phytoconstituents present in these plants. Different mechanisms have been explored for the anti-inflammatory action of these active ingredients. They may synergize the anti-inflammatory pathway enzymes, factors, proteins or interfere with these in the inflammatory pathway like lipooxygenases, cyclooxygenases, tumor necrosis factors, interleukins, prostaglandin, nitric oxide, mitogen-activated protein, nuclear factor, etc. Considering all the above-mentioned factors, further research from molecular to cellular level will enable a better understanding of the mechanisms. Common anti-inflammatory herbal plants are Curcuma longa, Zingiber officinale, Rosmarinus officinalis, Borago officinalis, Urtica dioica, Uncaria tomentosa, Vaccinium myrtillus, Olea europaea and much more. They are believed to be without side effects unlike the chemical counterparts or synthetic anti-inflammatory agents e.g. steroids, nonsteroid anti-inflammatory drugs, and immunosuppressant used for controlling and suppressing inflammatory crisis. A proper phytochemical, pharmacological and physiological evaluation will enable their safe and effective use in inflammatory conditions. Many of these anti-inflammatory drugs and herbal preparations have been patented with some under consideration. “Cannabis has been used to treat pain for thousands of years. However, since the early part of the 20th century, laws restricting cannabis use have limited its evaluation using modern scientific criteria. 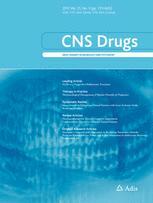 Over the last decade, the situation has started to change because of the increased availability of cannabis in the United States for either medical or recreational purposes, making it important to provide the public with accurate information as to the effectiveness of the drug for joint pain among other indications. Natural phytocannabinoids and synthetic derivatives have produced clear activity in a variety of models of joint pain in animals. These effects are the result of both inhibition of pain pathway signalling (mostly CB1) and anti-inflammatory effects (mostly CB2). There are also numerous anecdotal reports of the effectiveness of smoking cannabis for joint pain. “Multiple sclerosis (MS) is a chronic inflammatory and demyelinating disorder of the central nervous system (CNS) that can cause cognition, mobility, and sensory impairments. 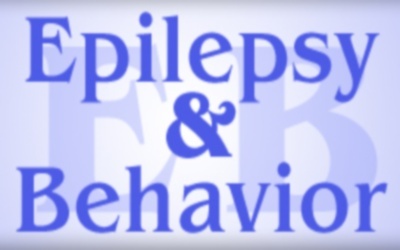 It is considered one of the most common non-traumatic causes of disability in the world. The aim of the present article was to review the clinical evidence related to medicinal plants in the management of MS symptoms. Electronic databases, including the Cochrane Library, Pubmed, and Scopus, were searched for entries from 1966 to February 2017. Only clinical studies were included in this review. Different medicinal plants have positive effects on MS, including Andrographis paniculata, Boswellia papyrifera, Ruta graveolens, Vaccinium spp., Camellia sinensis, Panax ginseng, Aloysia citrodora, Ginkgo biloba, Oenothera biennis, and Cannabis sativa. C. sativa had the highest level of clinical evidence, supporting its efficacy in MS symptoms. Proanthocyanidins, ginkgo flavone glycosides, ginsenosides, epigallocatechin-3-gallate, cannabinoids (including delta-9-tetrahydrocannabinol and cannabidiol), boswellic acid, and andrographolide were presented as the main bioactive components of medicinal plants with therapeutic benefits in MS.
“The complexity of the endocannabinoid (eCB) system is becoming better understood and new drivers of eCB signaling are emerging. Modulation of the activities of the eCB system can be therapeutic in a number of diseases. Research into the eCB system has been paralleled by the development of agents that interact with cannabinoid receptors. In this regard it should be remembered that herbal cannabis contains a myriad of active ingredients, and the individual cannabinoids have quite distinct biological activities requiring independent studies. This article reviews the most important current data involving the eCB system in relation to human diseases, to reflect the present (based mainly on the most used prescription cannabinoid medicine, THC/CBD oromucosal spray) and potential future uses of cannabinoid-based therapy. Expert commentary: From the different therapeutic possibilities, THC/CBD oromucosal spray has been in clinical use for approximately five years in numerous countries world-wide for the management of multiple sclerosis (MS)-related moderate to severe resistant spasticity. Clinical trials have confirmed its efficacy and tolerability. “The widespread patient use of artisanal cannabis preparations has preceded quality validation of cannabis use for epilepsy. Neurologists and cannabinoid specialists are increasingly in a position to monitor and guide the use of herbal cannabis in epilepsy patients. We report the retrospective data on efficacy and adverse effects of artisanal cannabis in Patients with medically refractory epilepsy with mixed etiologies in Washington State, California, and Maine. Clinical considerations, including potential risks and benefits, challenges related to artisanal preparations, and cannabinoid dosing, are discussed. “In ancient medicine, extracts of the marijuana plant Cannabis sativa were used against diseases of the gastrointestinal (GI) tract. Today, our knowledge of the ingredients of the Cannabis plant has remarkably advanced enabling us to use a variety of herbal and synthetic cannabinoid (CB) compounds to study the endocannabinoid system (ECS), a physiologic entity that controls tissue homeostasis with the help of endogenously produced CBs and their receptors. After many anecdotal reports suggested beneficial effects of Cannabis in GI disorders, it was not surprising to discover that the GI tract accommodates and expresses all the components of the ECS. 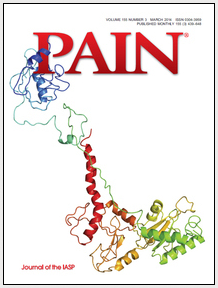 “Cannabinoids may hold potential for the management of rheumatic pain. Arthritis, often self-reported, is commonly cited as the reason for the use of medicinal herbal cannabis (marijuana). We have examined the prevalence of marijuana use among 1000 consecutive rheumatology patients with a rheumatologist-confirmed diagnosis and compared in an exploratory manner the clinical characteristics of medicinal users and nonusers. Current marijuana use, medicinal or recreational, was reported by 38 patients (3.8%; 95% CI: 2.8-5.2). Ever use of marijuana for medical purposes was reported by 4.3% (95% CI: 3.2-5.7), with 28 (2.8%; 95% CI: 1.9-4.0) reporting current medicinal use. Current medicinal users had a spectrum of rheumatic conditions, with over half diagnosed with osteoarthritis. Medicinal users were younger, more likely unemployed or disabled, and reported poorer global health. Pain report and opioid use was greater for users, but they had similar physician global assessment of disease status compared with nonusers.